Attractions in Windermere , Cumbria. Mountain Goat tours are the no. 1 Lake District tour specialist, with over 40 years experience. We have an exciting & inspiring choice of daily tours and short breaks which take you off the beaten track to views that larger coaches can't get too. Mountain Goat tours are the no. 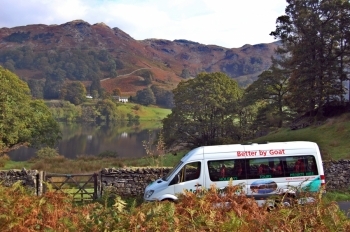 1 Lake District tour specialist, with over 40 years experience. We have an exciting & inspiring choice of daily tours and short breaks which take you off the beaten track to views that larger coaches can't get too.